Tiangong-1, China's out-of-control space station, fell back to Earth Monday -- splashing harmlessly into the middle of the South Pacific. China Manned Space Engineering Office said the space lab mostly burned up in the atmosphere before it reached the surface. [post_ads]U.S. Strategic Command's Joint Force Space Component Command confirmed the crash, using Space Surveillance Network sensors and their orbital analysis system. 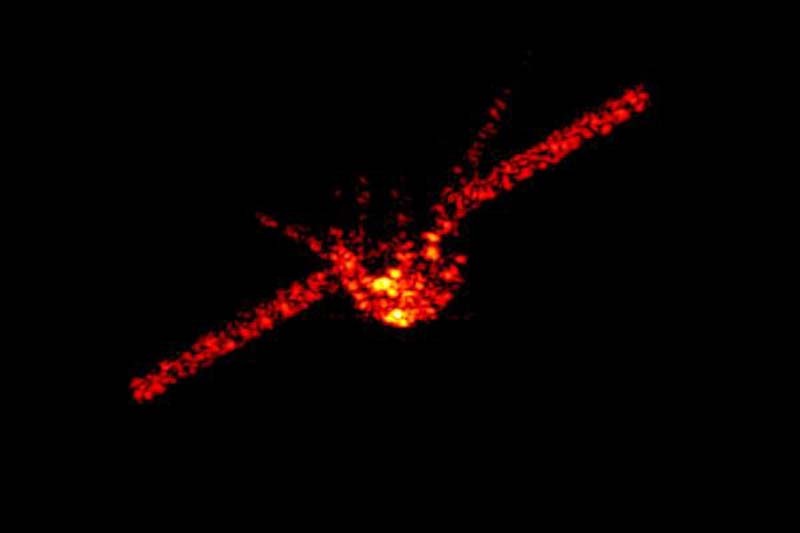 "The JFSCC works alongside government, industry and international partners to track and report reentries, to include today's Tiangong-1 reentry, because the space domain is vital to our shared international security interests," Maj. Gen. Stephen Whiting said in a statement. For days, astronomers had been unsure where the decommissioned space station would fall, citing several factors -- including how the station tumbles and breaks up, variations in the gravitational field of a landmass or ocean, solar radiation pressure and atmospheric drag. Astrophysicist Brad Tucker of Australian National University called Tiangong 1's re-entry "mostly successful." "It could have been better, obviously, if it wasn't tumbling, but it landed in the Southern Pacific Ocean, and that's kind of where you hope it would land," Tucker said.